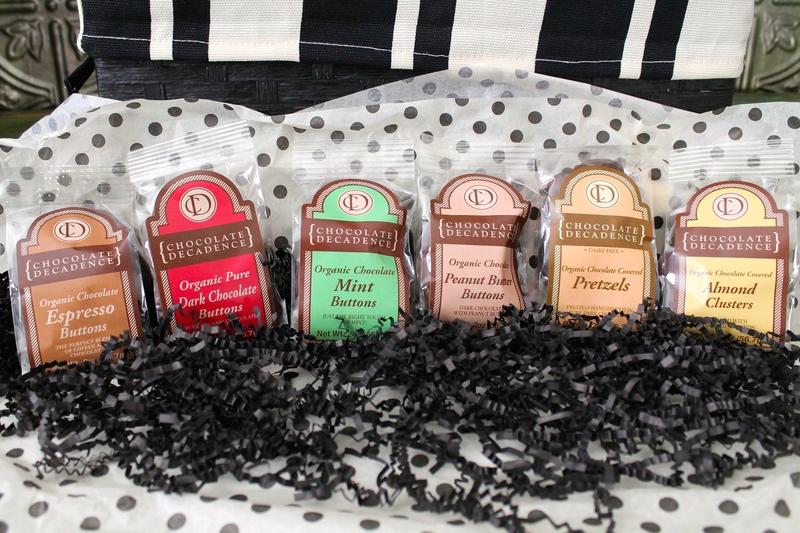 Chocolate Decadence is a Eugene, OR based company that has been around since 1996. 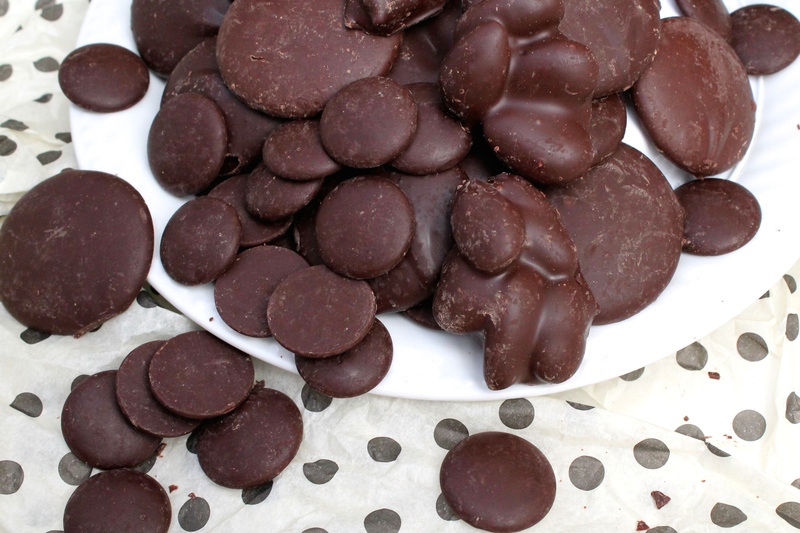 They offer a wide variety of organic vegan chocolates and I was lucky enough to sample 6 of their varieties: Dark Chocolate Buttons, Chocolate Covered Pretzels, Almond Clusters, Chocolate Espresso Buttons, Chocolate Mint Buttons and Chocolate Peanut Butter Buttons. A lot of times dark chocolate tastes bitter to me but theirs doesn’t at all. It’s smooth, rich, melts in your mouth and the kind of good that makes your eyes roll back in your head. 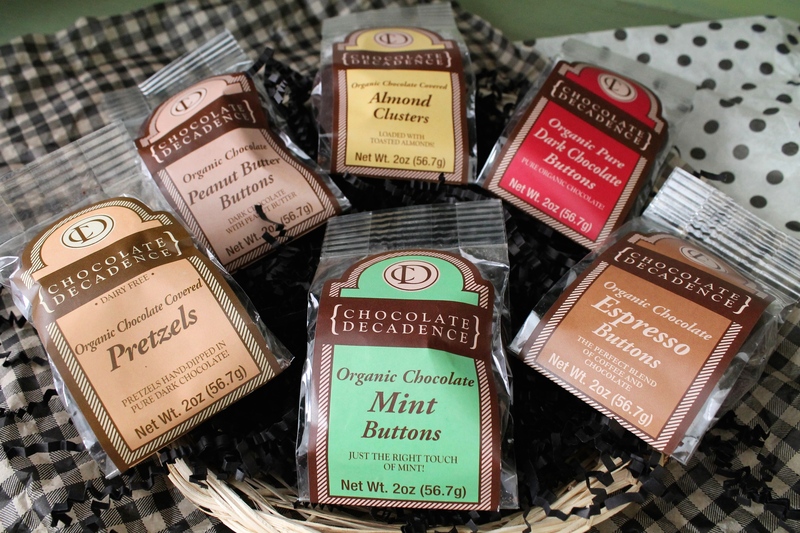 You can certainly taste the quality of ingredients and every flavor profile comes through as amazingly fresh – like they went out to the garden and picked the mint or ground the espresso beans the day the chocolates were made. I was thoroughly impressed. The ingredient list is short and there are no hard-to-pronounce, scary sounding “what the hell is that? !” items in their chocolate. I brought my stash to work with me because I planned on sharing my amazing chocolate haul with my co-workers but once I got there the greed monster took over and I ended up keeping them all for myself (sorry guys)! I’ll just make sure they all know about this giveaway so they can enter to win some of their own. 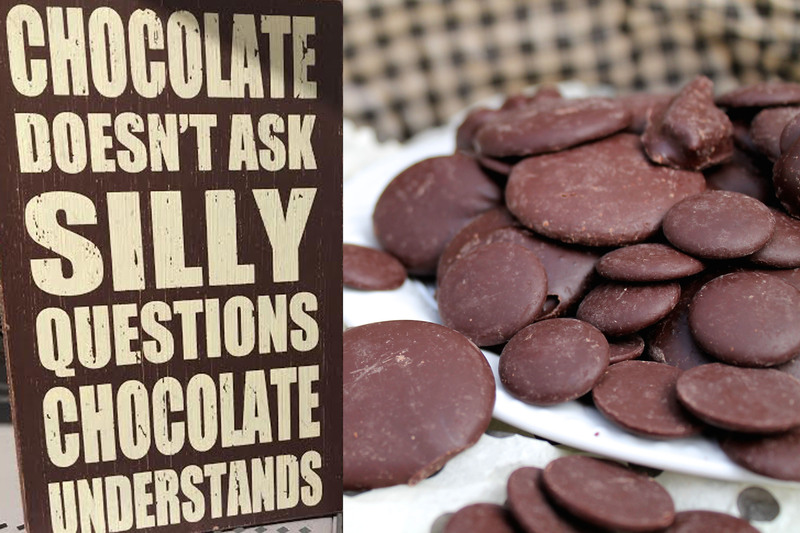 My momma didn’t teach me how to share (ok, that part’s not true but all bets are off when it comes to chocolate)! 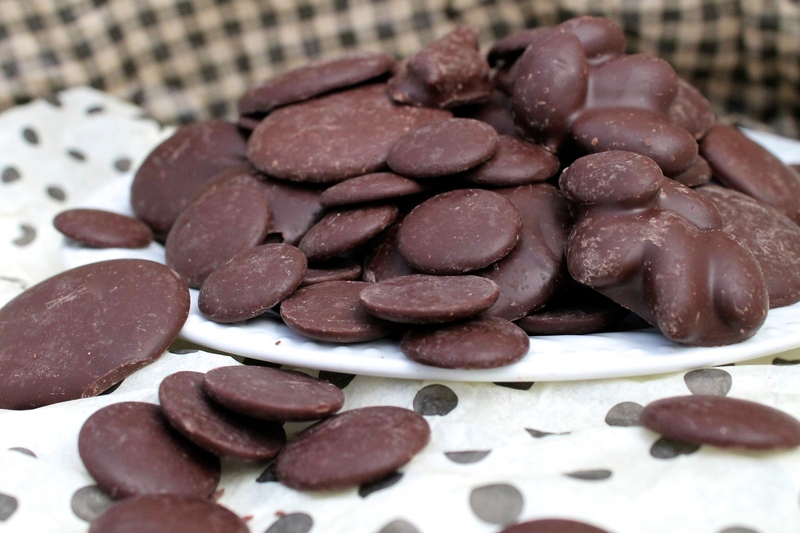 Chocolate Decadence truly is a treat in every sense of the word. Please go check them out and enter to win below! The Rules: Contest runs Monday April 20th through Monday May 4th at midnight PST. Winner will be chosen and notified within 48 hours. Open to U.S. residents only.